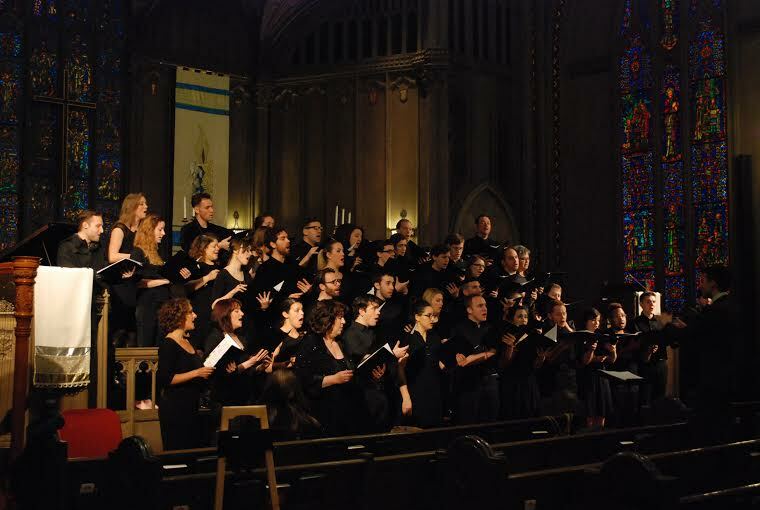 The Chicago Artists Chorale, under the artistic direction of Tom Vendafreddo, presented the second concert of its fourth season on Tuesday, May 29th at 7:30pm. The program, AMERICANA, featured John Corigliano's beautifully lush "Fern Hill" set to the poem by Dylan Thomas. The concert also included familiar tunes by Aaron Copland, Stephen Foster, and Billy Joel. We were pleased to have MOSAIC, a spiritual ensemble, with us for a guest performance. IN TERRA PAX will feature Gerald Finzi's beautiful choral work of the same name, complete with chamber orchestra. Additionally, the Chicago Artists Chorale proudly partners with Season of Carols and will feature live performances from their fifth volume of holiday music to benefit Season of Concern. 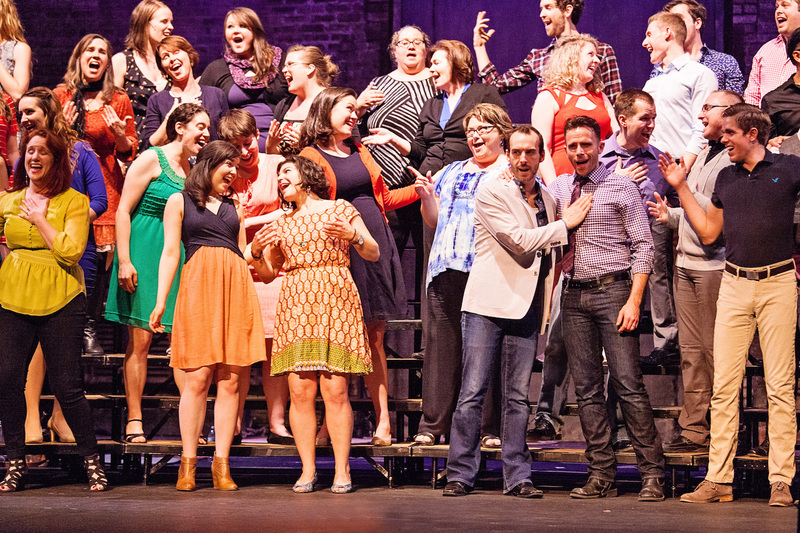 If you've been to a Chicago Artists Chorale concert in the past, you've hopefully noticed a high level of artistry. As the Chorale is growing and developing, the ability to maintain this high calibre of music making comes with making exciting programming choices. This winter, Artistic Director Tom Vendafreddo has programmed Gerald Finzi's beautiful choral work, "In Terra Pax" (Peace on Earth). Though the piece can be performed with piano accompaniment, there is a stunning chamber orchestration that will make the work come alive in a very rich way. In an evening of music by contemporary composers including Greg Jasperse, Bobby McFerrin, Kerry Marsh, and Oscar Escalada, the Chicago Artists Chorale will explore the powerful versatility of the human voice. Covering a wide range of styles and genres, IN OTHER WORDS is devoted to the idea that music communicates something even when language is absent. The sounds themselves will not inherently carry any meaning. It is up to you, the audience, to interpret and find meaning in the song—or to choose not to. GRANT US PEACE will feature Carols and Lullabies, a beautiful set of ten Spanish songs composed by Conrad Susa and accompanied by harp, guitar, vibraphone, and marimba. The Chicago Artists Ensemble will present Randol Alan Bass' Gloria and is directed by Devin DeSantis. SONGS OF LOVE AND LIGHT will feature a diverse collection of choral music spanning from the late Romantic period through the 21st century. From the rich beautiful harmony of Brahms' O schöne Nacht to the stunning a cappella music of contemporary Norwegian composer Ola Gjeilo, the program will explore both sacred and secular texts. The Chicago Artists Ensemble will perform a tender set of songs by famed modern composer Eric Whitacre. The Chorale will also present songs accompanied by the magnificent Lyon and Healy Pipe Organ at St. Vincent de Paul Parish. The program will culminate with Charles Stanford's Nunc dimittis, featuring Chicago's own Larry Adams as the bass soloist. THE FROST VARIATIONS will feature Frostiana: Seven Country Songs, composed in 1959 by famed composer Randall Thompson. The piece richly musicalizes the poetry of Robert Frost and has become a celebrated set of choral songs. The Chicago Artists Ensemble will honor Randall Thompson by singing his setting of Alleluia - another famed piece of choral music with rich harmonic intricacies that will stir your soul. The second half of THE FROST VARIATIONS will feature the lighter side of the "frosty season," including many familiar holiday songs originally performed by Peter, Paul and Mary, The Real Group, Pentatonix, and more! Please join us on December 8th as we welcome the holiday season with an eclectic program of all things FROST. The first portion of our concert will focus on composers from the British Isles. We will present songs by English composer Ralph Vaughan Williams and Irish composer Charles Stanford, while our Chicago Artists Ensemble will sing a short set of works by English composer John Rutter. The second portion of our concert will serve as an exploration of the role of choral music in the vast canon of American musical theatre, highlighting the importance of ensemble singing through each decade from 1940 to 2015.